I’m a big Dave Ramsey fan. Say what you want about the man, but he’s been highly effective in helping thousands of people get on the road to financial peace. His Total Money Makeover book is a classic, and it’s the book that kickstarted me down the path towards financial independence. 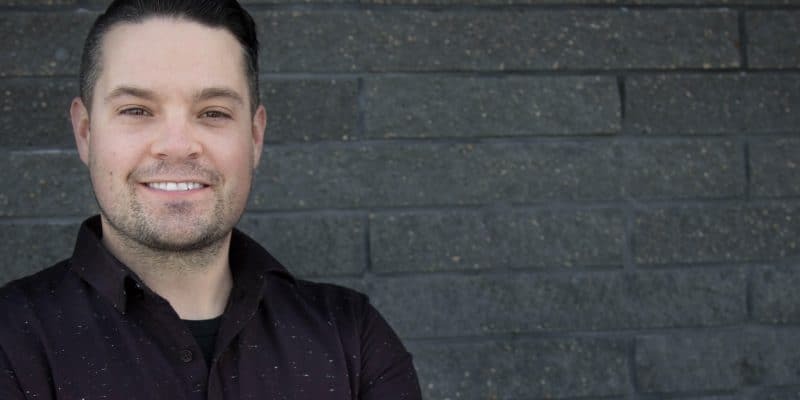 For those who haven’t read his books or listened to his podcast, his most famous catchphrase is “live like no one else now, so you can live like no one else later.” Essentially, be counter-cultural, or “weird” as he puts it, with how you handle money now, so you can crush your finances and live a life of financial independence down the road. A big part of being weird that Dave promotes is using the envelope system. The envelope system is definitely weird. I can remember my parents having envelopes stuffed with cash tucked into our kitchen cupboard to be used to buy groceries, put gas in the car, and to pay for our clothes. My parents would budget each month how much needed to go into each envelope. When it was gone, it was gone. There’s a lot of research which supports the fact that people spend less when they use cash as opposed to using a credit or debit card. Both forms of electronic payment minimize the pain of paying and lead to people spending more because plastic spending doesn’t “hurt” as much as paper spending does. But in this digital world, where we can deposit checks on our phones and send money by email, using technology that minimizes the pain of paying is almost impossible to avoid. And even if it could be avoided, it’s just way too convenient to be able to pay using some digital method. I personally don’t want to give up the level of convenience plastic and digital transactions afford. I know Dave might disagree with me, but that’s the reality. But it doesn’t have to be an either-or choice. There is a method that allows the convenience of paying digitally while still making you feel some level of pain of paying and keep tabs on your spending so you don’t overspend. 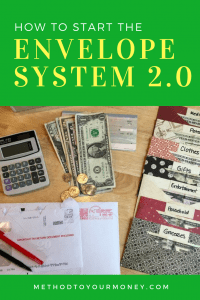 The answer is the envelope system 2.0. 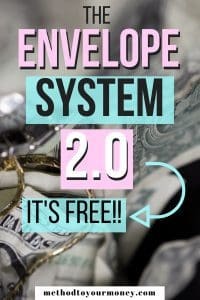 The envelope system 2.0 is really pretty simple. It uses both cash and online bank accounts as savings stashes. In addition to taking out cash to put into envelopes, it involves setting up several electronic savings accounts (your digital envelopes) at your bank and transferring money to them using your main checking account. All banks will let you set up multiple accounts under your name. It’s not uncommon for people to have a checking and a savings account. This is no different except that you’ll want to set up separate savings accounts for each of your digital envelopes. Beware: The bank will almost certainly think you’re crazy when you open 10 different savings accounts. Wear this like a badge of honor. Remember, you ARE weird, and normal is broke. For my wife and I, we use old-school envelopes for things like clothes, kids items, cosmetics, going out and for her fun money. And we have digital envelopes for things like travel, car maintenance, gifts, my fun, home maintenance and property taxes. At the start of the month, we sit down and have a budget meeting. This is where we go over last month’s expenses to see how we did, and we look at the anticipated expenses of the month ahead. Based on this, we split up all of our income into either a cash envelope or a digital one, as we run a zero-based budget. At the beginning of each month, I stroll into the bank to get out a wad of cash. I have my list of envelopes I need cash for (all on my very handy, and FREE, EveryDollar app, which we use to track our spending) and I add them all up and determine my total amount and which denominations I need. Since I’m “weird”, I’m very well known in several bank branches in the area for being “that guy with 20 accounts who does that envelope thing”. Evidently, there are not many people that are keeping tabs on where their money is going or trying to control their spending. I actually love having these conversations with the bank employees, and explaining to them why we use the envelope system. It’s awesome to be able to share how it has helped our family experience so much freedom with our money and to hopefully encourage them to stoke their inner weirdness. On more than one occasion I’ve had them remark that they thought it was pretty cool and that they should probably start doing something similar. As for the money in the digital envelopes, I’m able to transfer it to our different accounts with much less human interaction. In our line of work, teaching, our pay is deposited into our chequing account once a month. I then use my bank’s app to transfer money to all of our digital envelopes on my phone. As I transfer, we also track the money on EveryDollar. The whole exercise takes less than 5 minutes. Typically the cash envelopes are used for more common, everyday things. They also tend to be things that if we weren’t watching closely, we could easily overspend on. For example, we use a regular envelope for groceries and kids items. If we didn’t keep an eye on our budget for these items, they could easily spiral out of control. The cash envelopes also tend to be things that my wife looks after; things like clothes, kids stuff, cosmetics, etc. When we sat down to do our budget, we didn’t consciously use envelopes for areas she was responsible for and do mine all digitally. It just kind of happened like that. 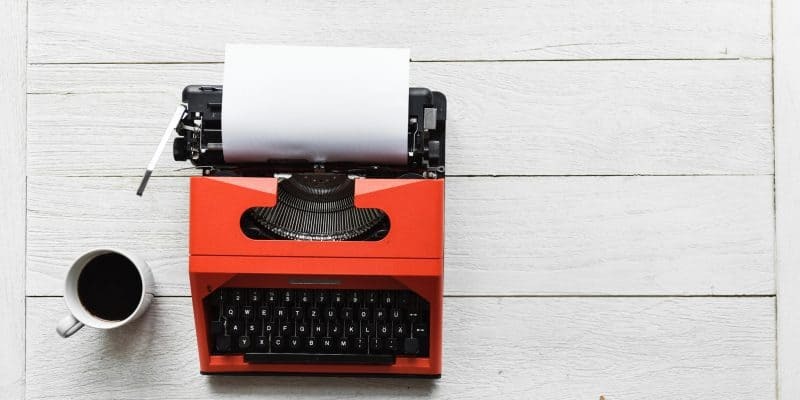 To be honest, I didn’t really even notice until I was sitting down to write this post (another great reason to have a blog! Self-reflection!). In chatting with her as I was writing, she said that having the visual of how much money was left was super important and helpful. She knows exactly how much money is left for each category, and it frees her up to spend as much of it as she wants. It was also nice to be able to see the cash build up over the months if it wasn’t spent and to know that she didn’t have to worry about overspending. When it was gone, it was gone. If there was money left she could spend like it was 1999. The other piece she noted was that by spending cash, it made the whole budgeting process easier. At the start of the month, the cash goes in the envelopes. When they’re empty, your spending is done. She didn’t feel stressed about having to track her purchases and account for each receipt, as many people who budget in spreadsheets or using apps often do. Finally, she really likes having the cash because it removed the need to transfer money from one account to another. With how busy my wife is, this is a huge weight off of her shoulders. One quick glance in the envelope and if the well is dry, we’ve got to wait until next month. The digital envelopes, on the other hand, are typically for purchases that I make or ones that may be larger. These may be things like home repairs or when I need to get work done on the car. The digital envelopes work very simply. When I get work done on the car, for example, I’ll usually pay with my credit card (I try to get as many points as I can!). I take the receipt and keep it in my wallet. If I pay with my debit card, I do the same thing. Every few weeks, I’ll sit down to pay our bills and organize the receipts. When I come across the one for the car repair, if it was a debit purchase I’ll transfer the funds from the car maintenance account to the general chequing account. If something was purchased on a credit card, I wait until the bill comes in. Then my wife and I sit down and determine which accounts to transfer money from to pay the bill. Once all the money has been transferred into our chequing account, we pay the bill. It’s easy. Painless. Convenient. And quick. It also prevents us from overspending. An added benefit is that any left-over account balances automatically get carried forward to the next month. If I don’t have vehicle repairs for that month, the car maintenance account can build up nicely. We drive used cars, a 2008 Nissan Versa and a 2011 Kia Sorento. What usually ends up happening is that we don’t have any repairs that are needed for 3 or 4 months. During these months, we are still putting money into our digital envelope for car maintenance. Inevitably the vehicles will need some work. When they do, we’ve got a tidy little balance that we can use to cover the costs. Anything that goes above what we have available, we take from our Emergency fund. I prefer the digital envelopes to using the cash. I think this is because I only have a wallet to store things in. Unlike some people in our household, I don’t have a giant rucksack that I carry around everywhere to hold the envelopes and to lose things in. If I did have a “European carryall” (Seinfeld anyone?? ), I may feel differently. The key is to know your strengths and weaknesses when it comes to how you spend money. As you experiment with different methods, you’ll find what works for you. Once you’ve found the system that works best, using it will feel almost natural. And, because it’ll become almost second nature, you’ll be able to stick with it over time. What system do you use to organize your monthly spending? Share in the comments below or on Twitter @method_money or my Facebook page Method To Your Money. You can also find me on Pinterest. To get more great ideas on how to save money, sign up to receive my weekly emails detailing how to keep more of your hard earned cash! Love the digital envelope idea. My wife and I use this. We have 7 different bank accounts all for a separate purpose. When I tell people this, many think I’m crazy, but this has been the most effective way we have used to organize our finances. Plus, to make things even easier, automate! Great post! I love it too. It really makes the whole organizing your money thing soooo much easier. Also love the idea of automating, especially for your monthly envelopes that don’t change from month to month! This is pretty much what I do! I love the simplicity of cash to see how much is left! It also takes away the guilt of making a clothing purchase because I KNOW I am not spending money that was supposed to go to a bill! It is money that I have set aside specifically for that category! Totally. 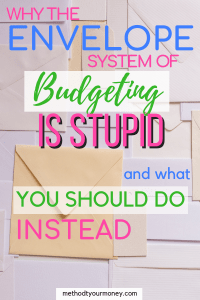 It allows you to spend ALL of the money you have in an envelope without feeling a stitch of guilt because you’ve already decided in your monthly budget that you have that money to spend. So much nicer. A budget doesn’t mean you CAN’T spend money. It just means you are spending MINDFULLY. Great post! My husband and my sister and I were JUST talking about this the other day. We all grew up on the envelope system and I have a few savings accounts online but was never bold enough to just go ahead and have 10 or so to do an online system. Thanks for tbe encouragement and breaking down how it could work. Matt, so glad that you are using the envelope system successfully and thanks for writing this post. I’ve been teaching people how to manage their money for years and often suggest the envelope system keeping cash for things like groceries as you mentioned. Thanks so much for promoting something that works easily even if it is old fashioned. I never knew there was a name for this! Love it. Digital enveloping. 🙂 I have been doing this for years. Much the same you do. It is a great system. Love this post and will be sharing it as well. We use this method also. I have 5 accounts at one bank and 2 at another. The bank with 5 I work at and makes it really easy to manage. The 2 at the other bank is our emergency fund and Christmas fund. We don’t see these until needed. They are fine from my husbands pay check. We do a very similar thing with our emergency fund. It’s at a separate bank so it’s a bit tougher to access. Just gives us another boundary between us and the money so we’re not dipping into it for things that aren’t really emergencies. You should totally give it a try. It works awesome and really makes it easy to build up balances in accounts that don’t have tons of monthly spending. Thanks for checking out the piece! We have used the envelops in the past but recently my wife just discovered YNAB. It’s basically virtual envelops. But we both need to be connected to it and enter in items and categorize them into each budget category. It’s worked for us. We found ourselves borrowing too often from one envelope to pay for something and when we needed money from the empty envelope we forgot were we spent it. YNAB lets us see it a bit clearer. It’s confusing at first but we now know and track were each penny is going. And in the end, that’s want we all need. That’s cool that you guys are using YNAB. Do you find that you overspend in any categories without the benefit of actual cash? It sounds like it’s a great tracking tool for you guys! Everyone needs to find something that works for them and I’m glad you guys have!! Thanks for checking out the piece!